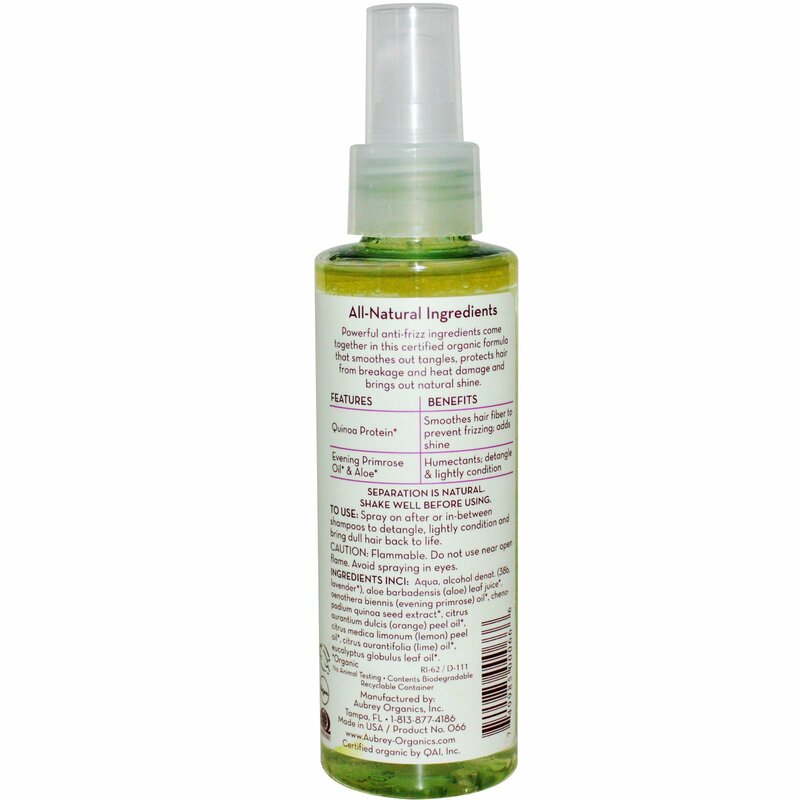 Powerful anti-frizz ingredients come together in this certified organic formula that smoothes out tangles, protects hair from breakage and heat damage and brings out natural shine. 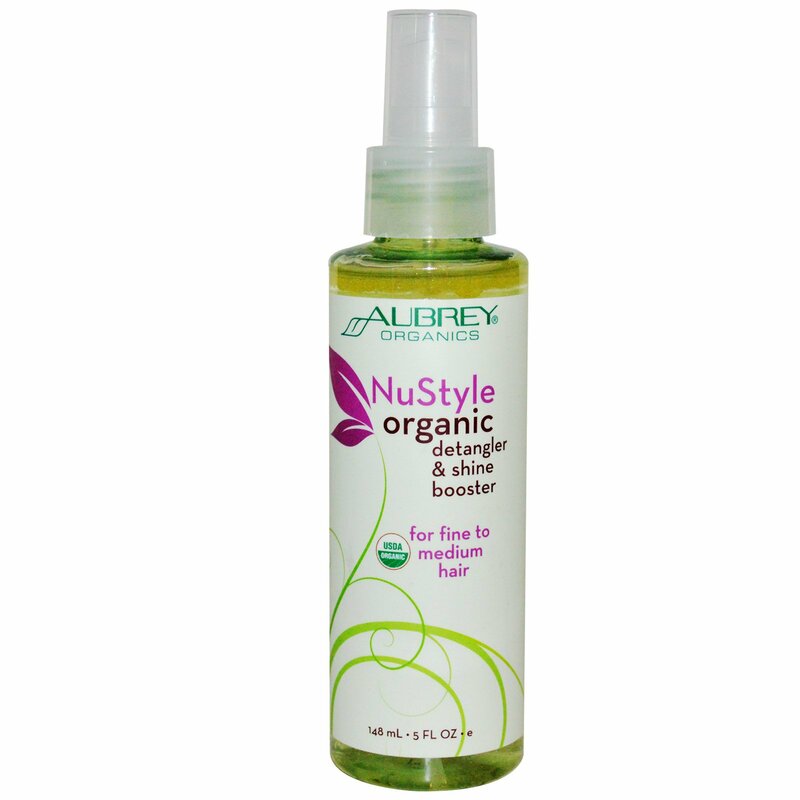 To Use: Spray on after or in-between shampoos to detangle, lightly condition and bring dull hair back to life. Caution: Flammable. Do not use near open flame. Avoid spraying in eyes.